The Bishops of Massachusetts have reiterated the Church's opposition to the death penalty as the trial of Boston Marathon bombing defendant Dzhokhar Tsarnaev went to the jury on Monday, reports the Catholic News Service. The Church opposes the death penalty except "if this is the only possible way of effectively defending human lives against the unjust aggressor," but such cases "are very rare, if not practically nonexistent." 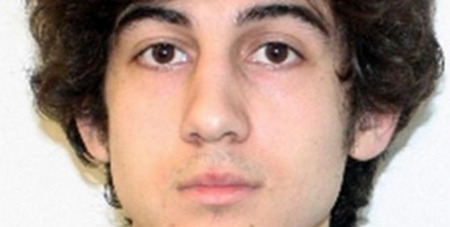 In Tsarnaev's case, the Massachusetts Bishops released a statement saying: defendant "has been neutralised and will never again have the ability to cause harm. Because of this, we ... believe that society can do better than the death penalty." Tsarnaev's trial in Federal court in Boston began on March 4, when prosecutors have presented evidence that he and his older brother, Tamerlan Tsarnaev, planted the bombs that exploded on April 15, 2013, near the finish line at the Boston Marathon. The attack wounded more than 260 people and killed 8-year-old Martin Richard of Dorchester, 29-year-old Medford native Krystle Campbell, and Lu Lingzi, 23, a Chinese national studying at Boston University.